The peak season for clowns in Ghana is between Christmas and New Year: The clowns are mostly fishermen from the "Greater-Accra" area, the coast region around the capital of Ghana and they are renowned for their sense of humor! In their home country they call themselves "Emasi", i.e. the "masks men". Dressed in colourful costumes they juggle, dance and make laugh young and old people in all houses and neighbourhoods. 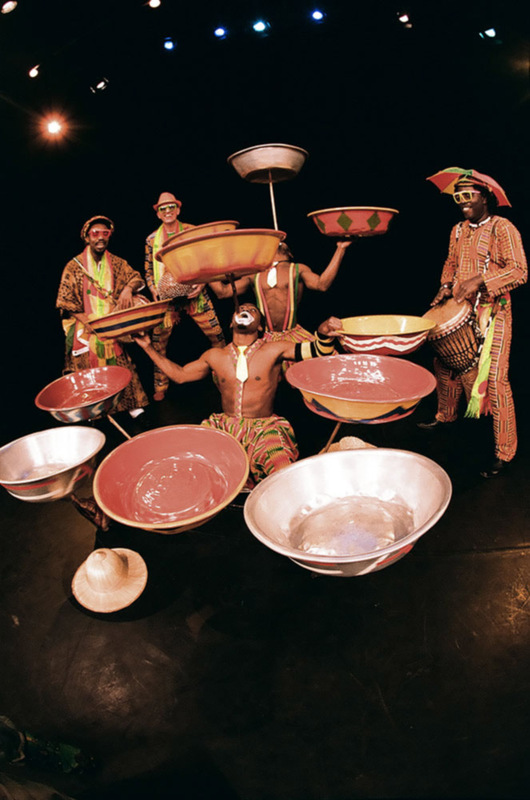 The talking drums invite the children to join the show. Sometimes they move on with the clowns from village to village and only return many days later. It is the time of merriness which helps to forget the painfull daily life in Africa. And the very popular clowns can be sure to be welcomed in every house with a nice meal. 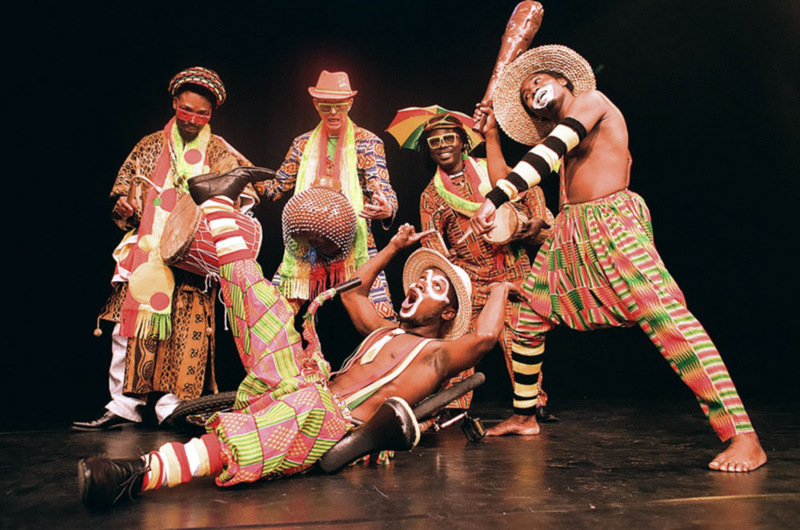 Accompanied by the music of ADESA the clowns Obi and Ernest show the comical sides of African daily life. However Both clowns have left their masks at home and in Europe have changed them into "Ayilor", a make up made of shells. Therefor, the children can still see their faces and are not afraid of the strange men. Instead their curiosity in the African culture is aroused. 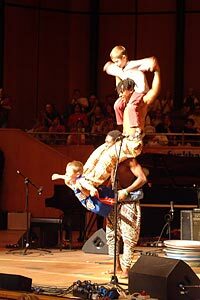 Mime, acrobatics, juggling, African dance, singing and a lot of improvisation with the audience are the elements of the show. This offer, particulary to the children, gives the possibility to take part in African culture and merriness.